 This database is the result of the Leiden Mastaba Project (LMP), which started in 1980. The project concerns an integral and analytic study of the secular or ‘daily life’ scenes and their accompanying texts in the elite tombs of the Memphite area during the Old Kingdom (± 2600-2150 BC). The aim of the project is to gain an insight into the development of number, size, internal organization and shape of the various (sub)themes, their location in the tomb, their wall position (upper/middle/lower level), and their orientation (north/east/south/west) on the walls. A synthesis of these aspects will reveal new insights into the pragmatics and dynamics of the elite funerary culture of the Old Kingdom. A main issue of interest is the tension between the collective (adherence to the generally accepted) and the individual (deviating from and/or gradually changing the accepted). For the initial set up of the project and its research questions, see R. van Walsem, ‘The mastaba project at Leiden University’, in: S. Schoske (ed. ), Akten des vierten Ägyptologenkongresses München 1985, 2 (München, 1989), 143-154, esp. 143-145. All available data have been digitized in a database, the so-called ‘MastaBase’. As a result it contains data of over 300 published tombs. However, occasionally additional blocks are encountered in publications. Moreover, new publications continue to appear frequently. Therefore such a project will never near completeness. Thanks to the standardization in the MastaBase it is now possible to gain quick overviews into various different aspects of these tombs and their decoration via extensive selection procedures. However, it should be noted that owing to the immense diversity of the material, it is not possible to be completely consistent. Moreover, the material proved to be even more complex and diverse than anticipated. More than once ad hoc decisions had to be made concerning the categorization of scenes and/or texts. Utmost care was taken to be as consistent as possible when dealing with such a sizeable corpus. It will be obvious that for quantitative questions, which may be used for detecting trends in cultural development, the program saves a lot of time for the researcher in collecting his material. For detailed research on levels beyond the coverage of the MastaBase, e.g. the variation in number of participants in scenes such as fishing with a seine (or dragnet), the original publications have to be consulted. The foregoing, however, implies a very important point, namely, that the database is not a replacement for the original publications. Also, one needs to keep in mind that it is impossible to foresee every possible question that might be asked by a user! In other words, one should not expect that the program is perfect.